One Not So Bored Mommy: $50 Target Gift Card Giveaway! ENTER TO WIN NOW!! $50 Target Gift Card Giveaway! ENTER TO WIN NOW!! I just realized today that I've been doing this MOMMY BLOGGING things for 9 years now! NINE YEARS! Can you believe that? No products were sent for this feature. I was not compensated in any way by posting this feature. I am purchasing the $50 Gift Card on my own accord to thank my readers for being a part of our daily fun. SOME OF YOU HAVE BEEN HERE FROM THE VERY START...when I was "ONE BORED MOMMY"! Some of you have just recently joined...or maybe this is your FIRST time on my site (maybe the GIVEAWAY lured you here?)! If so...welcome and have fun looking around! I want you to know that I appreciate you! I appreciate your visits to my site! 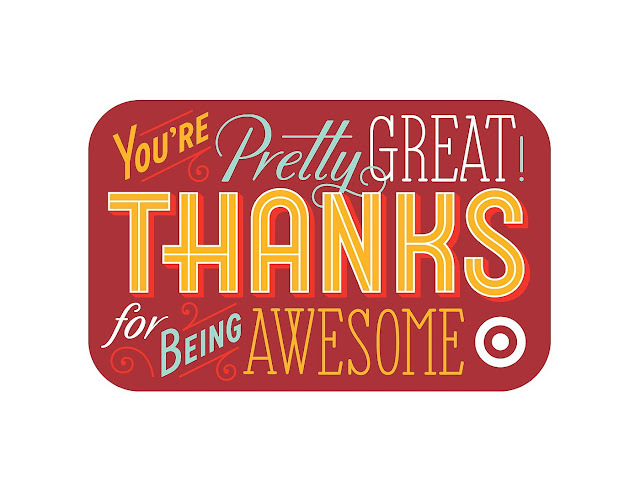 $50 TARGET GIFT CARD GIVEAWAY to one of you? I mean...Target is my favorite and think of all the things that $50 can get you! 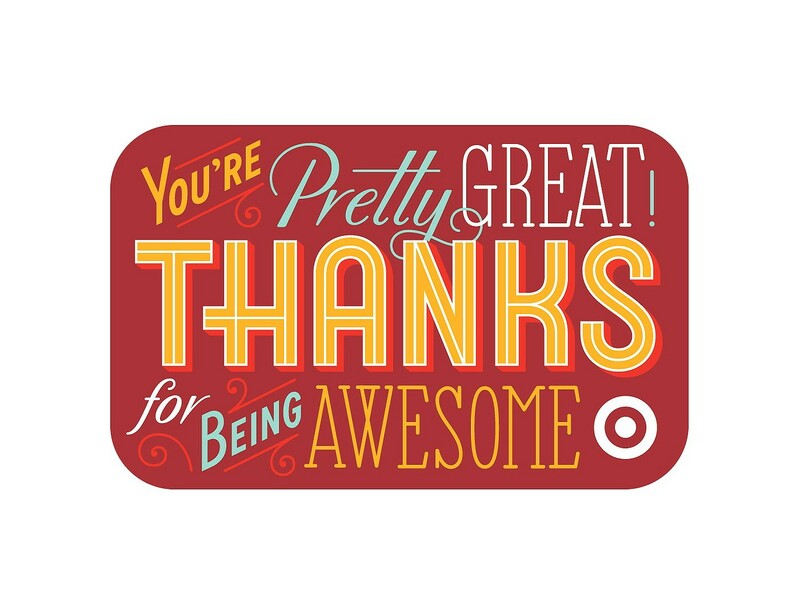 (1) LUCKY One Not So Bored Mommy Reader will be taking a $50 Gift Card to shop in Target! THANK YOU! PLEASE feel free to share with all of your friends! It will get your more entries into this giveaway and it will help me FURTHER spread the word about my site! I was not paid to feature this post! I was not compensated in any way by posting this giveaway! This giveaway was purchased by me, for my readers, to help further promote the exposure of this site. Been here since the beginning too!! Not sure how long I've followed you. At least a year or so. I have been following you since I have known you! YIKES ! I do not recall. Not sure but like the site. I'm not sure how long I've followed, at least a couple of months. I love your blog! I don't really remember how long, but I'm guessing over a year, or maybe even two years?! I am not sure how long it has been. Then again I cannot remember what I did yesterday if that tells you anything. I liked the FB page.. I don't know exactly how long but it's been years...possibly 7 or 8. I'm a new follower, but I can already tell I'm gonna love your content! Im a new fan here. !! Thanks. I have been reading this blog for a few months now. I think this is my first time! It is a nice blog! I seriously can't remember, but I like the blog. I +1'd the post and am following you on G+! I like the One Not So Bored Mommy Facebook page! I don't remember how long, at least over two years. I have no idea how long I have followed - just that I do. I just found out about your site from my daughter. I have followed for a couple of months. hit the google plus button and posted. I have followed for quite a while and truly do not remember when I first started following. New follower here, only a couple of months. I'm not exactly sure how long I've been following. I had a friend tell me about the site and I've been following it ever since. I been with you since the beginning! I'm not sure when I started following. Using this email address, I just started following. I'm not sure if I've followed in the past or not. Thanks for the giveaway! I am a new follower and I cannot wait to see more posts! I have been following you for 30 seconds. Oh I cannot remember...3 or 4 years for sure! At least 3-4 years! keep up the great work! I am a new follower! Happy Blogiversary! I just found this page but I am enjoying it so far! I'm new here! Awesome looking blog! By email I just started following you. As someone who checks in every so often I've been here a long time! Congrats on 9 years! I love reading your posts. I follow on Facebook. Already a fan of your Facebook page. Always a fan, since the beginning!! ❤❤❤ So glad you found happiness! I've actually never seen your blog, but I'm liking it so far. I clicked the Google+ button. I gave this post a G+. I liked your facebook page as Natalie Yarbrough. I've followed for a couple of years. I just discovered you, so I am a new and excited follower! I discovered you about 3 months ago. I have been following you for quit awhile. I'm a newer fan I just saw about the onenotsoboredmommy page in the last month or so. I'm new but I'm loving your blog! I'm a fan on FB too! I've been following for about two years. I have been following for about a year. I have been following you for about a year now. All too true. For instance, what if you give a gift card from a sporting goods store to someone who's not into sports? Or a gift to shop a jewelry store to someone who lives too great a distance from the store to even bother to shop there. I have been following you from the very beginning!!!! Like seriously...All My Life!!! I come to the site all of the time but I can't sign up for the newsletter because I have Hotmail and it won't let anyone sign up for Feedburner blogs. I'm relatively new to this site. I think I have been with you for all 9 years!! i would say i have been following for at least three years. i am not totally sure though. I've followed for a few years! My memory is terrible, so I can't remember for sure, but I'd imagine a few years. I really don't know. It is fairly hit or miss, but has been some time now. I just found your blog because of the giveaway. I love entering giveaways, and I'll check out what others you have listed. Ok, so I'm brand new here. So, for 30 seconds or so? I just came across your blog today through OLS. I must have been a fan for awhile because I just realized I already follow on both Facebook and Twitter. I hit the +1 button for on Google+. Have been following for almost a year. I've followed this blog for a little over a year. I'm a newish subscriber -- maybe under a year. I liked your FB page under Sarah Mayer. I'm not sure neither. The older I get, the easier it is for me to lose track of time. I don't remember how long but it has been a few years. Honestly, I do not know exactly but it has been a few months. I have been following you for a while now. Hi! I'm a new follower and am excited to read the posts. I was reading about the eating clean with ThreeBridges USA and loved it! I already like on FB as Terry Stevens. I have no idea how long I've been tuning in. I've been following at least a year and probably longer!